Franco Donatoni was born June 9th 1927 in Verona, Italy. He studied composition with Ettore Desderi at the ‘Guiseppe Verdi’ Conservatory in Milano, with Battista Martini in Bologna and with Ildebrando Pizzetti at the ‘Academia Nazionale di S. Cecilia’ in Roma. He attended the ‘Internationalen Ferienkurse für Neue Musik’ at Darmstadt, Germany in 1954, 1956, 1958 and 1961. As a violinist he held a position at the orchestra of ‘Arena di Verona’. Donatoni was honoured with multiple awards, amongst others ‘Prix de Liège’ in 1951, ‘Prix de Radio Luxembourg’ in 1951 and 1953, ‘Prix de la société internationale pour la musique contemporaine’ in 1961, ‘Marzotto’-prize in 1966, ‘Koussevitsky’-prize in 1968 and a ‘Psacaropoulo’-prize in 1979. In 1985 he received a knighthood in the ‘Orde des Arts et des Lettres’ by the French Minister of Culture. He was composer in residence in Berlin after being invited by the ‘Deutscher Akademischer Austauschdienst’. Franco Donatoni taught at the Conservatories of Bologna, Torino and Milano and at ‘Accademia Chigiana’ in Sienna and the ‘Academia S. Cecilia’ in Roma. He conducted master classes and seminars in Switzerland, France, Spain, Holland, Israël and Australia (Italian Institute of Culture Melbourne) and in the USA (University of Berkeley). The compositions of Franco Donatoni are published Zanibon Padua, Schott London, Boosey & Hawkes London, Suvini Zerboni Milano (from 1958 until 1977) and at Casa Ricordi Milan (since 1977). 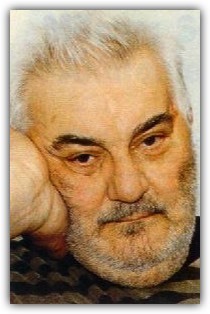 Franco Donatoni died on August 17th 2000 (2). At the beginning of his composing career Donatoni was strongly influenced by Béla Bartók, Paul Hindemith and Igor Stravinsky (3). After meeting Bruno Maderna, he attended the summer course at Darmstadt where he became acquainted with the serialism of Anton Webern, Karlheinz Stockhausen and Pierre Boulez. Strongly attracted by the music of John Cage and the literature of Franz Kafka, he then became influenced by negativism. In his personal life, this led to a depression; musically, he began experimenting with indeterministic methods (4). In the mid 1970‘s - after his depressive period - he rediscovered the importance of the musical material itself and the process-based sequences. As a result, he returned to a rather determined composition style. Although the characteristics of the processes employed are clearly tangible through the music, the process-based writing is from this point on never obviously present, but rather hidden behind the music. Donatoni never looks upon composition as ‘inventing’ but more as ‘transforming’: “Composer actuellement veut dire pour moi inventer le processus nécessaire à la transformation continue de la matière” (5). The necessity of transformation results into processes. Process and form are closely connected and mainly emerging from the initial basic musical material. Donatoni points out two main processes: the mechanical process as an external action and automatism as processes that are inherent to the material (6). Starting from his basic musical material, Donatoni works out every composition thoroughly. He doesn’t search for new sound possibilities but prefers to put the traditional into a new context. The departure point is not the sound itself, but the manipulation of interval and rhythm. Donatoni considers music as an elaboration that consists of clear musical elements. As a composer he takes those elements into development and transformation. Music is absolute; it doesn’t express, but carries expression inside itself (7).